So I finally made a trip to Lentils today. Trying Dai's first soy coffee handiwork. So, I really wasn't sure if I wanted to... But after speaking to two different people from Lentils, I thought why not. I didn't do much today. 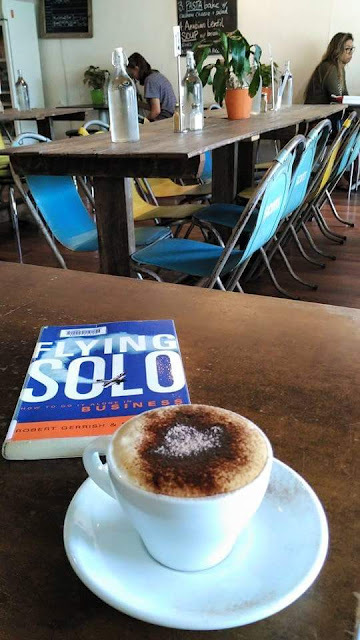 Just chilled and read a book, Flying Solo, which I borrowed from the Campsie library. And met up with Makokkaii for lunch at Lentils. Lentils is like her second home, it seems. Lol.